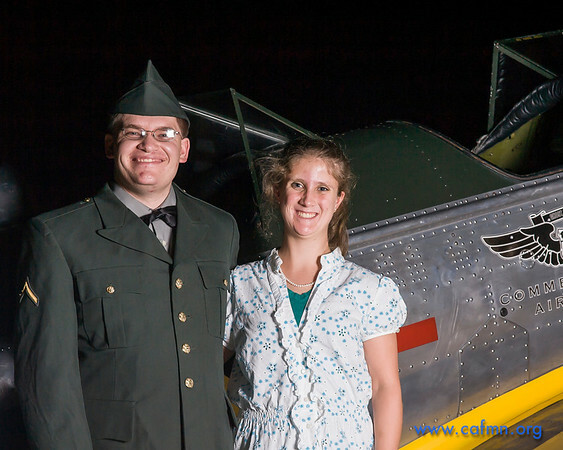 Here are the images from the Bombers Moon Hangar Dance at South St Paul's Fleming Field. Enjoy the photos! The Commemorative Air Force Minnesota Wing thanks all the sponsors and our guests for supporting our dance. Your participation greatly helps the Minnesota Wing perform the CAF mission! To share these images with friends and family, use the "Share" button on the upper right to obtain links or post to social media sites. You may download images for free. To download images, hover the cursor over the image, select the desired image size from the pop-out menu on the right. Once the image opens, right-click on it to download. You may also purchase prints and other merchandise by clicking on the "Buy" button in the upper right corner of the gallery. Wouldn't you love to have a photo coffee mug as a memento of your night at the dance? This is the place to get it! Visit the Commemorative Air Force Minnesota Wing's website for more information about future warbird visits and events.